This isn't my first foray into the Disney vault. Forever ago, I did a very kitschy Ariel manicure. It was cute, but not exactly grown-up friendly. This time around, I am going for a more streamlined/minimal/wearable-for-normal-folks design. 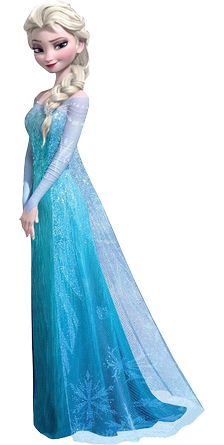 For those (blessedly ignorant) folks who don't know, Elsa is the Snow Queen of Arendelle. She has magic ice powers, which she tried to hide. Pro tip for those with similar ice-ninja powers: don't hide them. Hiding them can only lead to ice giants and gingers taking over the kingdom. 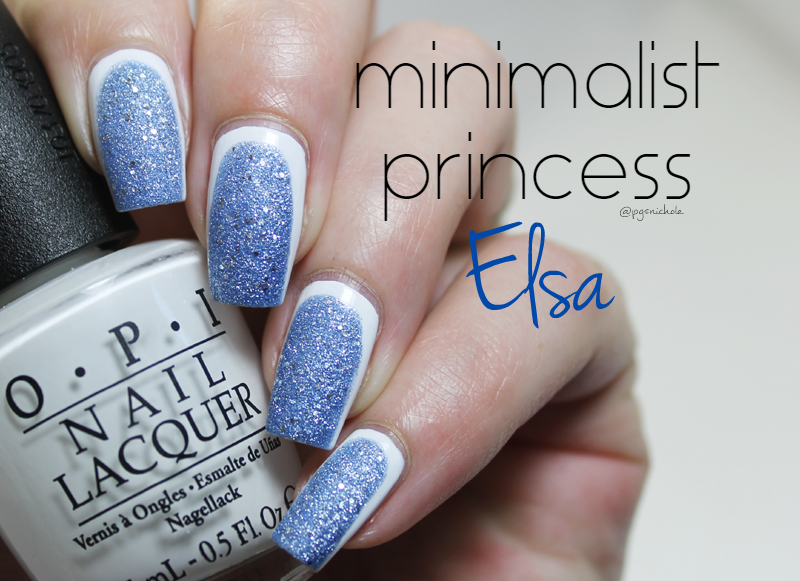 Anyway, Elsa is a bit of a glamazon when it comes to glitter, so I had to find just the right glitter in order to keep this simple. Make it Rain is a dusty denim blue textured polish with silver hex glitters. It might have been made for this manicure. I used three coats of it here, and the texture was surprisingly non-offensive. I positively love the matte look of it. This color was on my youngest childs fingers on Halloween (she was Elsa. Big surprise) and it was perfect. I did a ruffian here because it felt like something Elsa might actually wear. It is classic, simple, and understated. Just what someone who shoots ice from her fingers would want in a manicure. So what do you think? How hard are your eyes rolling at this point? I'm actually looking forward to this, because it naturally leads to the Villains...which are my favorite part of any Disney flick.